F Simple and Serene Living: IS INSTAGRAM REFLECTIVE OF A SOCIETAL CHANGE? IS INSTAGRAM REFLECTIVE OF A SOCIETAL CHANGE? I find Instagram to be an interesting societal phenomenon. A possible reflection of a younger generation. A generation who has become used to immediate gratification. A generation who uses abbreviations, emoticons, and hashtags to express their lives. Don't get me wrong. I happen to love Instagram. It is purely visual and I am a visual person. A visual learner. I could drown myself in beautiful photography, but I also like finding the depths contained within people. I like hearing their stories. I like learning. Maybe as a trained counselor I see things differently. 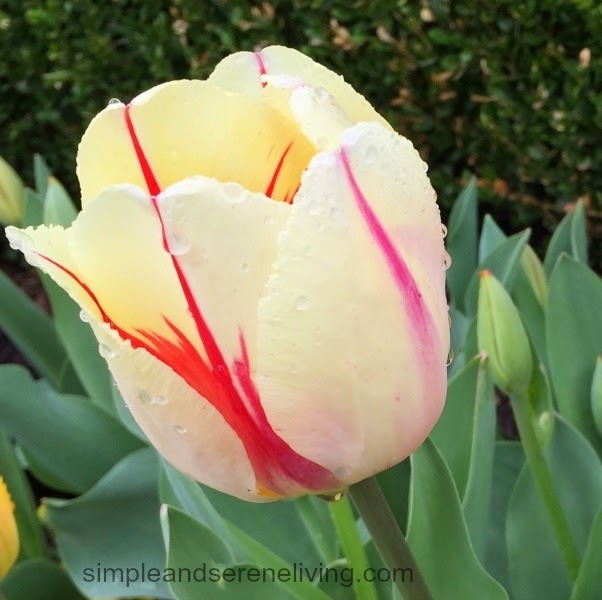 Maybe my love of exploring the human psyche, of looking into the real person, is not the norm for older generations, and yet I hear on a daily basis a need to connect on a deeper level. Instagram can be a quick way for a young person to make a six or even seven figure income. A place to quickly amass a large following through short snippets of their lives. To attract advertisers, clamoring for young people's business. I believe in free enterprise, and this seems to be indicative of a new world of free enterprise, but I wonder if it is also indicative of a world of the quick fix. What happens when, like much of social media, Instagram becomes passe. Will these young entrepreneurs be able to quickly jump onto the newest platform or will they find that they too are left behind without the current skills? We live in a rapidly changing world, but I hope that the need to connect with others at a deeper level is not something that will be lost. Because I believe, that without that deeper connection, that personal knowing, we will lose so much of what makes us human. I hear on an almost daily basis that blogging is a dying platform, that it is being replaced by Instagram. I for one hope not, because I would miss the connections that are made through blogging. But then again, I miss the practice of neighbors connecting on hot summer nights on their front porches. Maybe, it is just progress or maybe it is part of a trend towards impersonalization, towards becoming a more insular society. P.S. 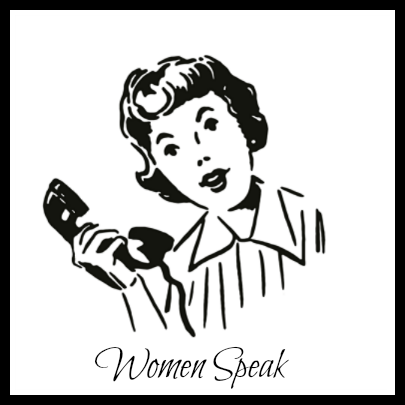 Check out more of Women Speak. This younger generation doesn't seem to be interested in building long term or deeper relationships that are the norm for the older generations. Instagram might just be a reflection of the way the Millenials live their lives, they flit, they flock, they move from apartment to apartment, travel, and switch jobs easily, they live for experiences not material things. The visual appeal of Instagram may fulfill the need to see beautiful things, that normally they wouldn't be able to afford now that they are living on their own. Blogging might be the perfect platform for our generation, we were brought up to communicate, and commit. To build a relationship with everyone we encountered, from the small business owner, to the postman, and our neighbors. For our generation it's about building a community, a sense of continuity in a changing world. Blogging rocks, and we, although older can still bridge that gap if we choose, [I love Instagram] and enjoy it for it's visual beauty, and keep blogging for it's community building abilities. Great post Laura, and a interesting subject for us to explore. It seems a sad commentary on the mindset of the millennials. I can't imagine what it would be like to have no sense of community, to establish no long term relationships. I suppose the internet is a big contributing factor. I feel the same way. I feel that instagram can be redundant of what I already have. I already have a blog and Facebook. So how is instagram going to be any different? Just one more thing for me to keep up with. And let's not mention email that takes up a lot of my time reading and deleting. I do have a life to live outside of social media! I enjoy looking at other people's instagrams however, I find the ones that I look at the most are of those that don't blog very much. I use it to keep up with what they're doing. If they blog often then there is no need to look at it. We definitely do live in a world of instant gratification. Computers make everything accessible at our fingertips but that is not how life works on a deeper level. It takes time to form relationships. You can't just click and get it! You can get an acquaintance but not a real relationship. Anyway you get the gist of what I'm trying to say. It is a world of instant gratification. Whatever happened to anticipation. I love having something to look forward to. I enjoy using instagram, but I see it as an adjunct to my blog. I do know people who have quit blogging and now only use instagram. Instagram is quick and snappy - I think that is why teenagers love it. I have teens, Laura and I grapple with this every day. Facebook is dead to them, too involved. Frankly, they don't even use hashtags anymore...too much typing. Everything in their world moves so fast and is so abbreviated. You have to wonder where the commitment is, Kim. It really concerns me. Some day they will all have to face the realities of life. this is certainly an interesting topic for discussion. I don't believe blogging is going away anytime soon and I am sure there will be more instagram like outlets. I think if something goes and is replaced it will be FB. I think instagram works for visual and quick readers and blogs are for the readers that have the time to sit down and read. Just my two cents. Thanks, Laura. I think FB may be in trouble, too. It will be interesting to see. Interesting thoughts, Laura! I love both blogging and Instagram. I'm a visual person and love pictures, so IG is all about eye candy to me. However, it definitely isn't a substitute for blogging. IG is just a quick fix. I love blogging for the stories along with the photos and for getting to know the person behind the blog. Can't do that with IG. As for the younger generation, I know that most teens moved away from Facebook a long time ago. They consider that an "old person's forum". They like Twitter instead. My concern is more for the twenty somethings than the teens. I wonder if they have never gotten past the lack of attention spans that is typical of teenagers. I agree with you very much, Laura, and Jen as well...we are all very much in sync about the virtues of blogging. As a new Instagram user (and an initially reluctant one to be honest), I seem to have found a niche very much like the blogs I like to follow...no teens whatsoever! And I wonder why some of these gals don't have blogs...they have very relevant things to say... albeit condensed. A quick fix...and yes, I get some followers who are trying to promote their "brand", that's easily ignored. I think it's a good way of "being out there" if you don't have a blog...which we know, is very satisfying for those of us who love to write. Well said, Jane. I hope that blogging never becomes passe. I for one would certainly miss the friends and the interactions. Very interesting! - both your post and the discussion that follows! My own 20-something daughters seem to be caught between the solid relationships they built before the FB era and the urgent, impersonal world of Instagram. I hope they will come to value the "old way" of communicating and insist their own children do the same. As for blogging, I think those with a passion for sharing the traditional word will not give it up - leaving a pool of quality writers behind in what was once an ocean of "me too!" chaos! My grandchildren don't have tv and my daughter is instilling the value of personal communication. They go out and play with children in the neighborhood. I think that is so important for kids. I hope blogging will go on, too. That it will continue to be an outlet for writers who may not otherwise have an outlet for their creative writing. You're right they probably are savvy enough to continue on with the next new thing coming out . I basically use IG the same way and to promote my shop. I miss so much those hot summer nights on porches sometimes a porch swing talking with my aunts or grandmothers. I believe they may still do this more in the south so hope to move in the hospitality direction of our country. Love sewing and baking so might fit right in. We will see. Well, you know how I feel as I mentioned Instagram in a post this week. I love Instagram, but a blog it is not. I love the quick shots that we can see on Instagram but I also love the in-depth posts that I need on blogs. I hear those warnings about blogs, but I think there are far too many of them out there for them to qualify as a dying breed. I personally don't think blogging will fade away for several reasons and one is I think many of us prefer reading blogs to magazines. It is interesting to me to pick up a magazine, which for me is less and less except for the free subscriptions I get, and read an article that involves a blogger. That tells me how big and important blogging has become. I really can't comment much on Instagram as I don't use it, but I can see how it would be appealing for quick reads. I have to add that your tulips are beautiful. I love the color in the last photo! Thanks Cheryl. 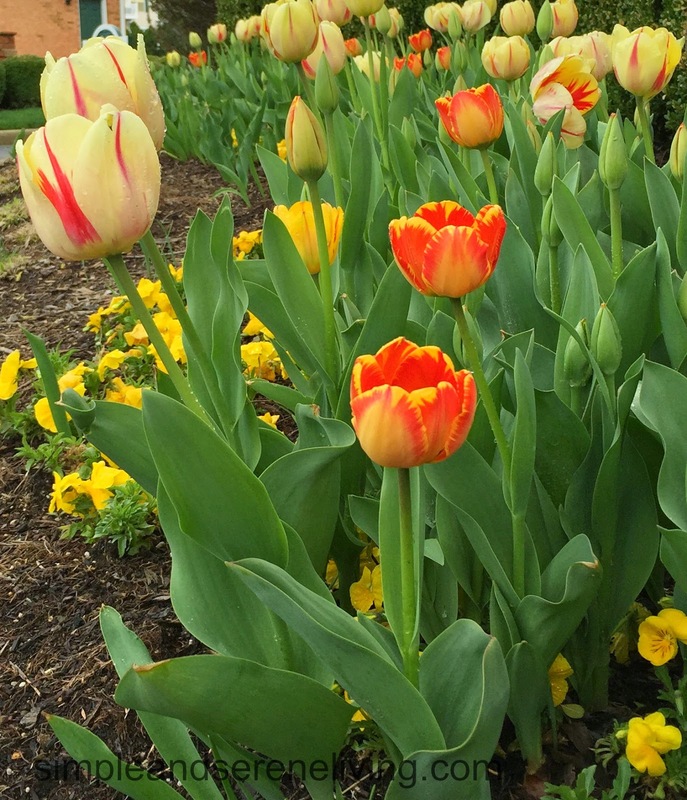 I wish I could take credit for growing such beautiful tulips, but they are here on the grounds of the apartments where I live. I really don't read many magazines either as they have gotten too expensive. I do miss them though. Thankfully in my neighborhood we still walk down the street and stop by as folks sit outside....we still connect. And I for one do not think blogging is going anywhere. I do not use Instagram or Pinterest as I just can't find the time or real interest. I enjoy the back and forth of blogging the best. 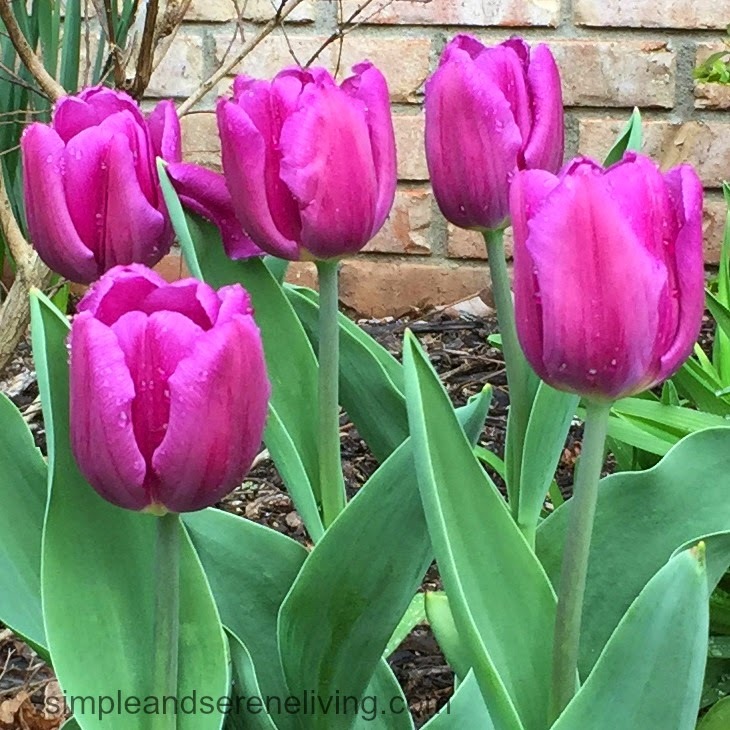 Of course I am almost 60 and we don't own a cell phone of DVD player.....Love the tulips! I think that every generation has it's preferred way of expression. However, I think the need to communicate on a deeper level exists for all of us regardless of age or gender. We all have a different way to convey that need. As usual, another thoughtful post from you. You keep us all thinking and I love it! I would certainly hate to see that deeper level of communication lost, Susan, It is what holds us together as a society.